Listen up, babywearers, because this is serious business. We’ve blogged before about counterfeit carriers, including the PAXbaby favorite Freehand meh dai. In continuance of our efforts to give you the most complete info available about potentially unsafe and definitely ILLEGAL counterfeit carriers, PAXbaby has specific information about counterfeit Beco Butterfly 2 carriers. 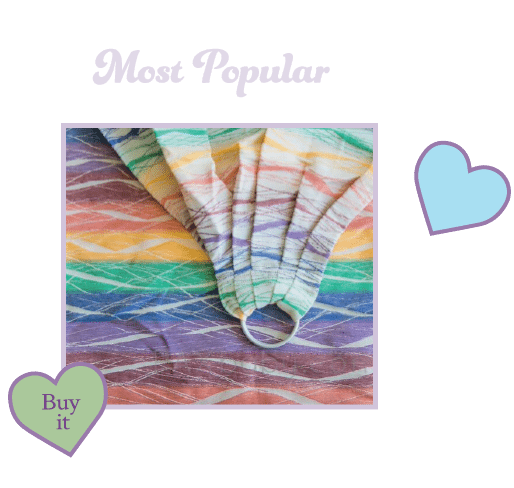 Yes, sadly, the beloved Beco Butterfly 2 has been counterfeited and can be found on Ebay through various sellers. These sellers include but are not limited to heminyi2011, evan121221, and jack6800_tw. Don’t assume, however, that a seller is safe if it’s not listed here—these sellers often close down one username and create another to continue to sell their counterfeit products in violation of Ebay’s terms of service! These sites may have stock pictures of REAL carriers in boxes or on models that they’ve stolen from the Beco website. That doesn’t mean that the carrier they send you will look ANYTHING like the one pictured, and definitely will not be constructed in the same quality as a genuine Beco. 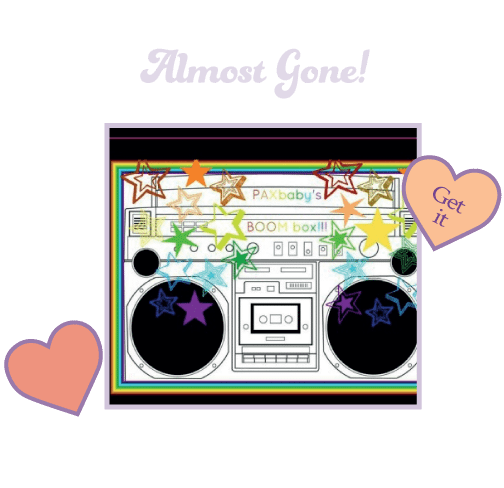 Remember: just because it’s pretty on the outside doesn’t mean that it’s pretty on the inside! One big red flag is when the item ships from anywhere in Asia—usually directly from the factory that produces the counterfeits! Two patterns that are almost CERTAINLY counterfeit are the former Japan-exclusive prints of Jasmin [pictured below] and Vanessa. If you’re interested in one and the seller can’t provide a history that links back to an authorized seller, BEWARE. How can you spot a fake? Here are some tips to help you! All authentic Beco Baby Carriers are currently produced in California, with the exception of the Metro Black and Espresso carriers. This is clearly stated on the listing page on every product on Beco Baby Carrier’s website. For Becos produced prior to January 2010, there are a few different manufacturing locations. Beco Butterfly 1 carriers made between November 2007 and February 2008 were produced in the Dominican Republic. 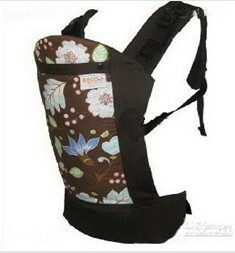 Beco Butterfly 2 carriers made between August 2009 and January 2010 were produced in China. If a unit happens to have a batch number/date of production different than this and still says “made in China”, then your carrier is almost certainly a counterfeit. There are TWO authorized North America Ebay sellers for Beco Baby Carriers. These are BigBlueCastle (with an Ebay feedback score of 38054 and counting) and ImaginaryKids (Ebay feedback score of 20056 and counting). Both have 100% positive Ebay feedback and have been valued Beco retailers since 2007. Beco encourages anyone specifically wishing to purchase a Beco from Ebay to patronize these legit businesses. Beco must authorize sales for its authorized retailers; if a product is shown for less than list price at one retailer, all the retailers should be offering a similar sale. MSRP for the Beco Butterfly is $139 and Gemini is $129, with a Beco-authorized sale currently running that prices them at $129 and $105 respectively. If a price seems too good to be true, it probably is. The websites of authorized Beco vendors contain the Beco seal of authenticity which links back to the Beco Baby Carriers webpage. Fake sites often do not have this. To sum up: Counterfeit baby carriers are bad for businesses and bad for babywearers. While authentic Becos are constructed using organic body fabrics and the highest grade of stitching, buckles, and webbing and fully CIPSA-compliant, counterfeits are made of substandard materials that have not been tested for safety in use with children’s gear. Reports of issues with counterfeit carriers include buckles cracking (imagine climbing a staircase and having a buckle release, tumbling your precious cargo down the stairs! ), stitching coming undone, and poor construction leading to straps that pull out from the body when even a minimum amount of force is applied. You owe it to yourself and your baby to make sure that the product you use has been designed and constructed to be as safe as possible. Please make sure to purchase only from Beco-authorized retailers, make sure to ask critical questions to anyone selling a carrier you’re interested in (including asking for proof of purchase if you’re buying a used carrier! ), and pass the word along to others both inside and out of the babywearing community. One baby death in a counterfeit carrier could cause a whole host of government legislation to turn the US babywearing community on its head—again. Things were touch-and-go for a while after the Infantino recall; the industry may not survive another such threat. There are some listings for fake Freehands on Spots Corner right now. 🙁 I messaged you on BBC with a link. so, if a carrier DOES NOT have a white tag with black writing, it’s a fake? I’m sorry, but I may be reading it wrong. I just wanted to verify. Thank you!! The white tag with black writing should be on the inside of the carrier and contain a batch number as described above. If the carrier you have doesn’t have that, go ahead and email info@becobabycarrier.com and they can help you determine the status of your carrier.